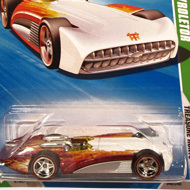 3/12 from the 2010 Super Treasure Hunt series. 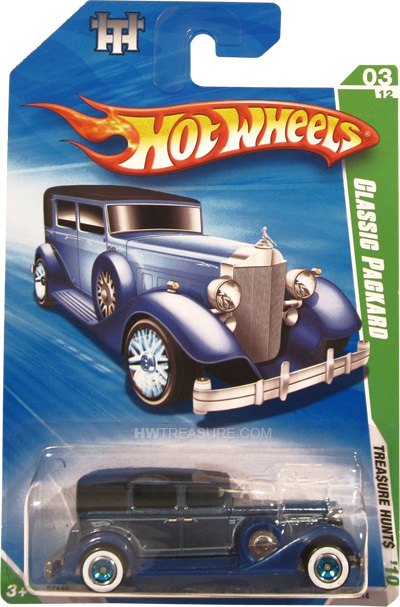 The Packard has a flat black roof and blue Spectraflame paint detailed with “TH” and the Hot Wheels logo on the sides, and light blue pinstripes on the sides and hood. 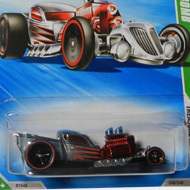 It has blue tinted windows, blue interior, Deep Dish Real Rider wheels with blue chrome rims, white wall tires, and an unpainted metal Malaysia base.